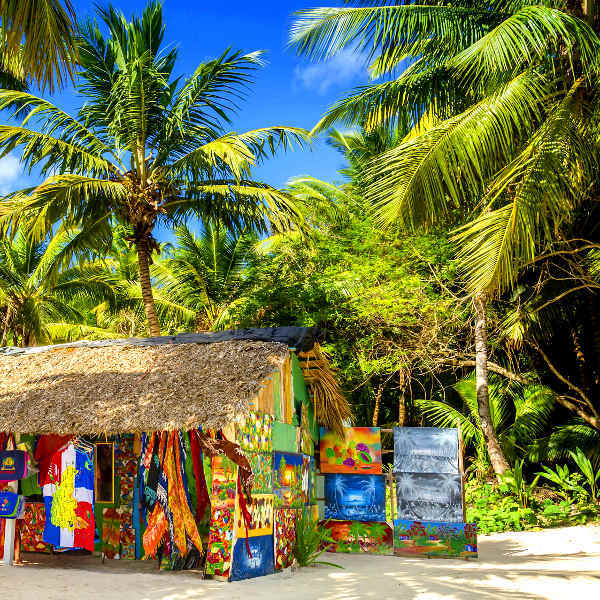 With its awe-inspiring tapestry of emerald mountains, azure beaches and bristling reggae culture, Jamaica is a country of raggedy island rhythms and raffish tropical mystique. 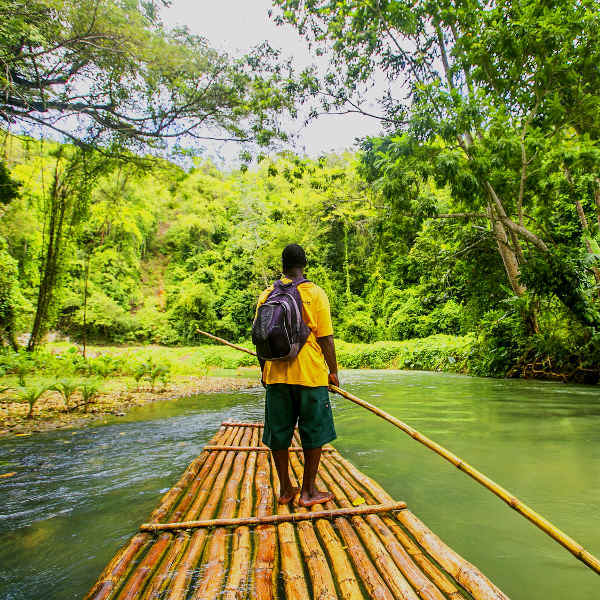 Home to over 2.8 million people, Jamaica is the fourth-most populous country in the Caribbean. Attractions include Negril Beach, Martha Brae River in Montego Bay and the Blue Mountains. 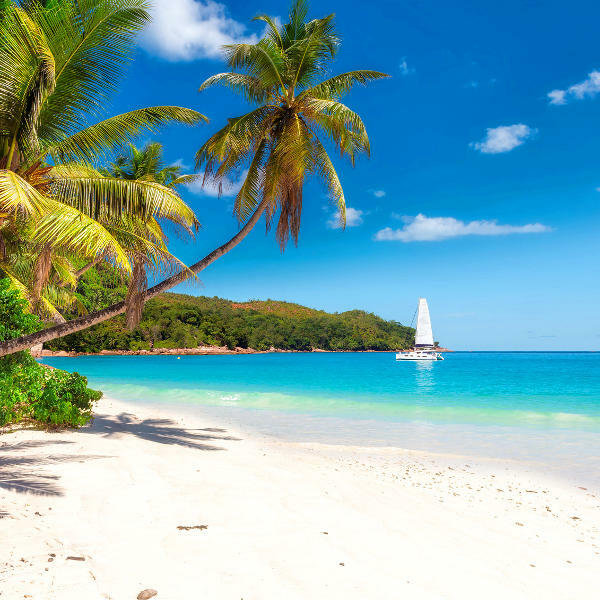 Surrender to the sultry beat of the Caribbean with cheap flights to Jamaica. Kingston is home to Norman Manley International Airport (KIN), which is a 35-minute drive from the city centre. Misty mountains watch over wild jungles teeming with waterfalls and blue lagoons, while the balmy skies gaze upon velveteen coastlines and turquoise waters that abound with underwater kingdoms. Whether you’re following the offbeat rhythms of reggae through the streets of Kingston or feasting on famous smoky Jerk Chicken in Negril, Jamaica is a place that trembles with easy-going island culture. Attend a sultry street dance in Kingston; scuba dive through a sunken pirate city in Port Royal; glide along Martha Brae River on a bamboo raft; or plunge into a luminous lagoon in Falmouth. Jamaica experiences a humid tropical climate, with warm to hot weather throughout the year. Average temperatures range from 33 degrees Celsius in summer to 23 degrees Celsius in winter. The hurricane season lasts from June to November. The best time to visit is during the shoulder months of April and May and winter (December to February). Idyllic weather settles over the island during these months, offering glorious conditions for sight-seeing and outdoor activities. Festivals such as the Jamaica Carnival, The Negril Carnival, Accompong Maroon Festival and Bob Marley Birthday Bash happen during these months. For cheap flights to Jamaica, the best time to visit would be from mid-April to mid-December. Jamaica is a place where days are spent snorkelling through colourful underwater kingdoms and exploring steamy jungles, and nights are spent drinking rum and dancing, lost in the sultry allure of the Caribbean. Famous for its reggae roots (Jamaica is the birthplace of reggae), music is etched into the bones of Jamaica. Whether you are partying in Negril and Montego Bay or wandering through the streets of Kingston, the deep reverberations of music will follow. Jamaica is also celebrated for its food. Scotchies in Kingston offers up the best jerk chicken on the island; Murphy’s is a tiny roadside shack known for its huge lobsters and spicy “Devil’s Chicken”; and Middle Quarters in St. Elizabeth is famous for its peppered shrimp (listen out for ladies shouting “swims! swims!”). Go crocodile spotting in the Great Morass swamp, enjoy a midnight swim in the glowing lagoon of Glistening Waters, visit the Maroon settlement of Accompong, plunge into the Blue Hole Mineral Spring, or follow fireflies on a night hike up Blue Mountains. Jamaica beckons, inviting you to surrender to its offbeat rhythms and soulful mysticism. Compare several airlines, and book your cheap flights to Jamaica online at Travelstart! Jamaica is one of the most popular destinations in the Caribbean but is no stranger to crime and poverty, so crime does happen. It is recommended that you use common sense and remain vigilant as you would in any other unfamiliar country. Travel insurance to cover theft and medical expenses is recommended. Do some research beforehand on which cities and areas should be avoided. Avoid travelling alone, and through deserted areas, especially at night. Only make use of reputable taxis, and agree on a fare before starting the journey. Avoid carrying large sums of cash and valuables as pick-pocketing can be a problem in crowded areas. Never leave your drink unattended and avoid accepting food and drinks from strangers. Familiarise yourself with the local laws and customs. Proof of yellow fever vaccination is required if you are travelling from an infected area. Jamaica is at risk for dengue, chikungunya, West Nile, Zika virus and malaria, so precautions should be taken to avoid bites. Immunisation against hepatitis A & B, typhoid, and rabies is recommended. Other recommended vaccinations include MMR, diphtheria-tetanus-pertussis, varicella and polio.